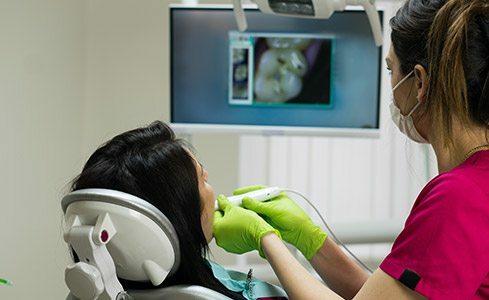 Dentistry is constantly in a state of rapid evolution, developing newer and more effective technologies that lead to bigger benefits for patients. At LIC Dental Associates, our team of experts is proud to stand right at the forefront of these developments and incorporate them into our care approach whenever possible! Here, you’ll get firsthand experience with several advanced touches that improve comfort, efficiency, accuracy, and more throughout each appointment. If you’d like to schedule an appointment or have any questions about what to expect, don’t hesitate to contact our Long Island City dental office location today. Why Choose LIC Dental Associates for Dental Technology? Intraoral cameras are an invaluable diagnostic tool that not only help our dentists more clearly identify dental damage, but also provide clear, confident educational opportunities for patients! 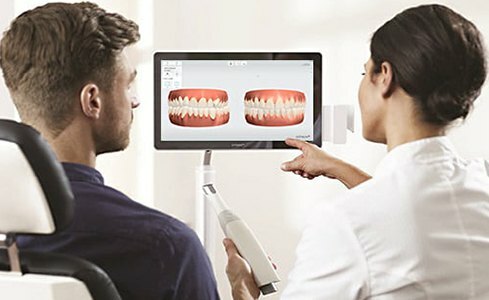 We’ll navigate the camera-tipped wand through the mouth, capturing high-resolution images of the teeth, gums, existing restorations, and much more so that we can refer to them later when discussing potential treatment options. Traditionally, X-rays were caught on traditional film, developed slowly in darkrooms, and then stored in bulky, inefficient filing cabinets. 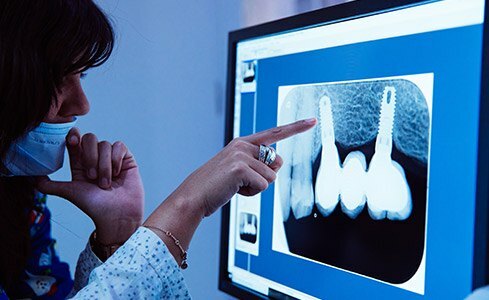 This diagnostic process is especially crucial for performing quality dentistry, which is why we’ve invested in digital radiography here at LIC Dental Associates for a superior patient experience. Now, X-rays are captured at exceptionally high resolutions and made available for viewing in seconds – no hours of waiting required! Any radiation exposure is also reduced to a miniscule degree for added safety and comfort. When preparing for advanced surgical care like dental implant placement, our specialists want to ensure the highest levels of precision and confidence possible. That’s why our diagnostic scope stretches far beyond the limits of traditional X-rays with the help of the state-of-the-art PLANMECA Cone Beam! 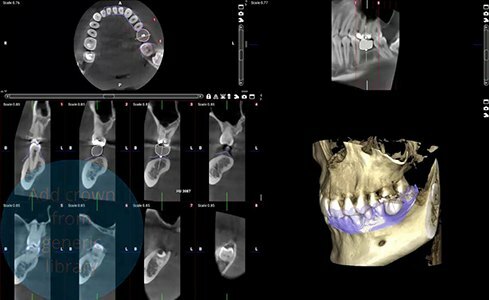 This technology captures three-dimensional, exhaustively detailed models of the patient’s teeth, jawbone, skull, and related structures, mapping out even the smallest details with exceptional clarity so that there won’t be any unexpected “surprises” to worry about later down the road. Most patients have experienced what it’s like to sit still while the dentist presses uncomfortable impression putty over their teeth. Thankfully, digital impressions are here to stay in Long Island City for a faster, more accurate, and much more pleasant experience. 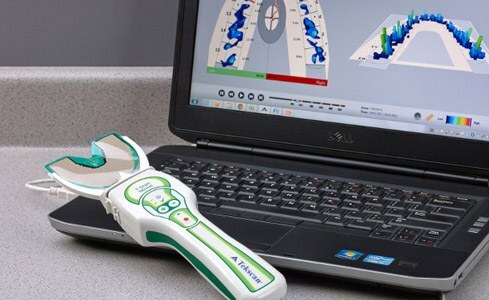 Our team uses iTero and 3Shape TRIOS technology, which don’t require any prolonged physical contact or mouthfuls of “goop” – better yet, the chances of needing time-consuming retakes are drastically reduced as well. Tooth decay develops at a gradual pace over time, and our team works hard to find and treat it in the earliest, most harmless stages so that we can preserve as much of the healthy tooth or teeth as possible. That’s why we use CariVu technology, which bathes the enamel in safe, near-infrared light, clearly revealing any weakened structure that may have otherwise gone unnoticed by the naked eye or even routine X-rays. Ideally, every component of your smile works in wonderful harmony together, creating a solid sense of balance when it comes to biting force. Unfortunately, this isn’t always the case. Patients with imbalanced bites may experience a wide variety of unpleasant symptoms, including chronic jaw pain, severe headaches, bruxism (teeth grinding), and more. 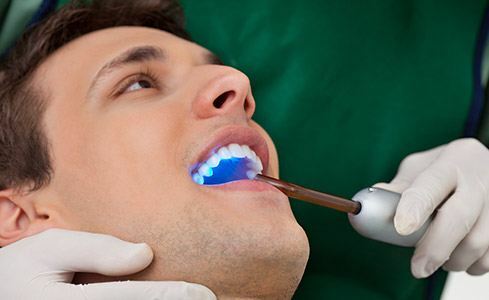 Here in Long Island City, we use the state-of-the-art T-Scan to create an animated digital image of the patient’s mouth with thin sensors, mapping out the timing of their biting pressure and the overall force in exhaustive detail. This will allow our dentists to pinpoint the problem and its severity, leading to a successful and highly personalized treatment plan. If you dislike visiting the dentist due to a fear of needles, we have good news for you. We have invested in Calaject, a technology which makes pain-free injections possible. It is a small, pen-like tool that allows your dentist to perfectly control the rate at which the anesthesia is delivered, which helps to ensure that it goes in smoothly and comfortably. And, when giving local anesthesia is simpler, it can be used more often -- for stress-free dentistry at long last. Are you in need of a dental crown for a damaged or decayed tooth? 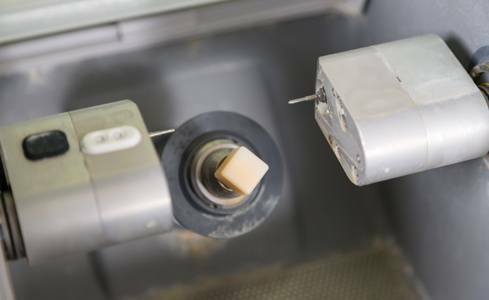 With CEREC technology, it is possible to place and restore an all-ceramic crown in a single dental appointment. That means Dr. Saran can prepare the tooth, take a quick digital scan, and have the crown milled -- all within a matter of minutes from the comfort of our state-of-the-art office.